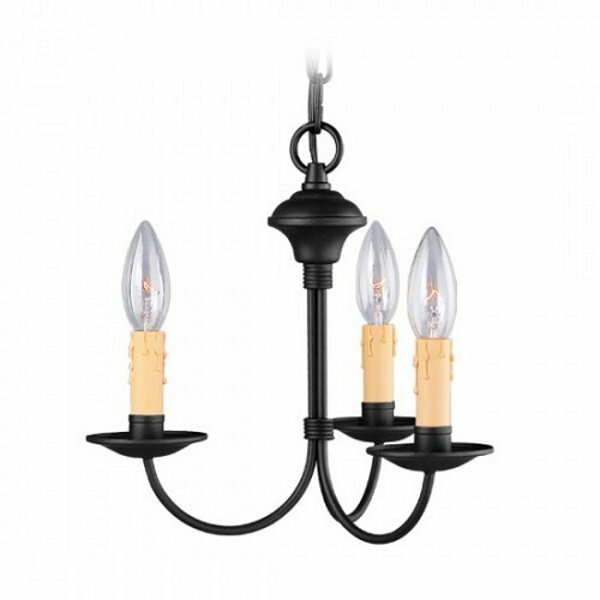 Livex 4453-04 - The clean design of this steel construction three light chandelier is enhanced with a black finish. The sweeping arms create a slim silhouette from which the candelabra bulbs emit their soft, romantic glow. Its informal, transitional beauty works well with many room decor schemes.